Where healing ends | Code Blog! Posted on August 25, 2016 by CodeBlog! Even as an adolescent, I recognized birth as a sacred moment. Perhaps this is why I just knew that I would find my niche, as many students believe, in women’s health. This notion, it turns out, was severely misled, but that is a whole other story for another time. There is another sacred moment in life, one that isn’t as readily talked about. I’ve never encountered an aspiring nurse who claims end of life care as their specialty of choice. I think there are many reasons for this. Firstly, it doesn’t sound like very cheerful business. Secondly, as far as nursing specialties, it doesn’t sound very glorious. Lastly, we often label our work as a “healing profession” and helping people out the back door of this life doesn’t quite line up with that perception. The fact is, healing is not always the appropriate goal. Please don’t think me heartless or apathetic to the pain of losing loved ones. I know all too well the agony of grieving. The beautiful thing about end of life care is that you are not just treating a patient, you are treating the family and you are treating their loved ones. You provide comfort and dignity. You listen as they reminisce. You laugh with them, you pray with them. It is an extremely intimate process. 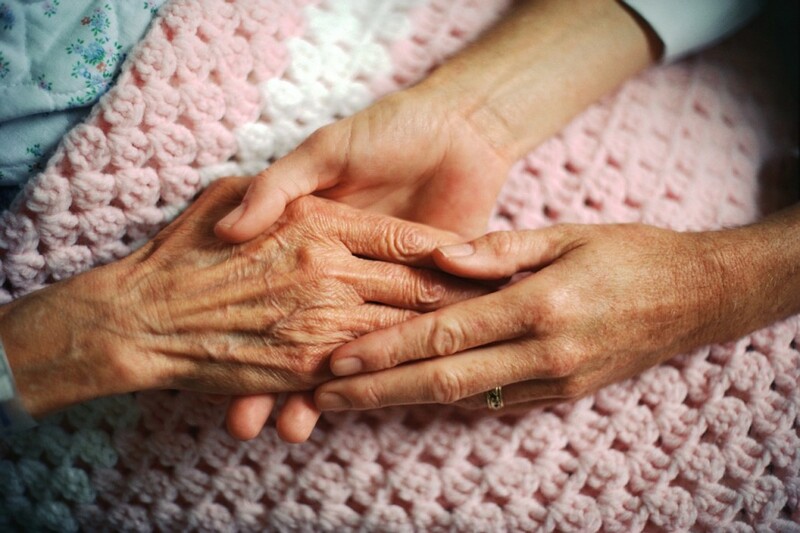 My hospice rotation yielded some of the most rewarding and spiritual experiences I’ve ever had. I worked some home health, I worked some inpatient. The more I saw, the more I wanted to learn. It was from a dying patient’s care that I adopted my first personal unbreakable law of nursing. My favorite instructor said it as she pulled our whole group into the room. “NO ONE DIES ALONE.” The patient had no relatives. Just us, a group of strangers gathered around their bed. We held their hand, we spoke to them, we wiped their perspiring brow and wetted their drying lips. They say that, as the body shuts down, hearing is the one of the last functions to go. I like to think that is true, and I encourage you to speak, or even to sing to anyone who is “unresponsive.” Do whatever it takes to assure them that they are not alone. This entry was posted in Uncategorized and tagged cna, death, dying, health, healthcare, humor, lpn, nurse, nursing, rn, student. Bookmark the permalink.